A1. Gunnar Haslam - "Versione Antica"
A2. Minimal Violence - "Travel By Night"
B1. Matrixxman & Riccardo Limiti - "Inferno"
B2. Russell EL Butler - "Run Away With My Heart"
C1. D’Marc Cantu - "Regular People"
C2. Earth Trax & Newborn Jr - "Paradox"
D2. Nigel Caenaan - "January’s End"
Gunnar Haslam, Minimal Violence, Matrixxman & Riccardo Limiti, Russell E.L. Butler, D’Marc Cantu, Earth Trax x Newborn Jr., X-Altera, Nigel Caenaan. 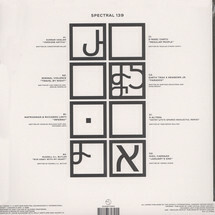 For over 18 years, Spectral Sound, the dance music imprint of Ghostly International, has thrived at the forefront of techno and house. It has been a source of support for numerous DJs and producers during that time, from Matthew Dear and Benoit & Sergio to Avalon Emerson and Hieroglyphic Being. 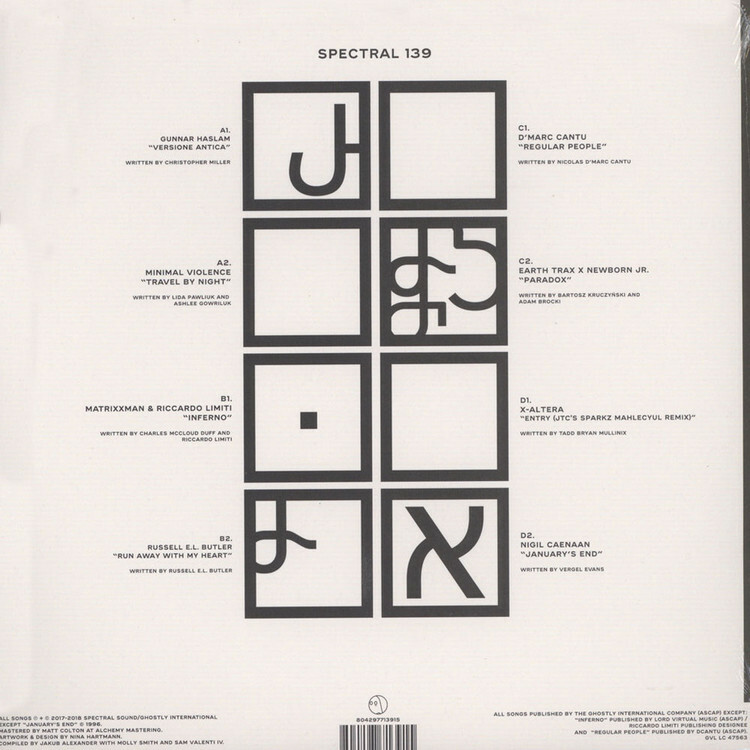 Now, Spectral brings the past alongside the present with its latest release, a compilation that offers a vibrant cross-section of the current moment in underground dance music. Despite the wide-ranging selections on Spectral 139, a throughline of classic style and infectious energy emerges from the up-and-coming and established artists alike.